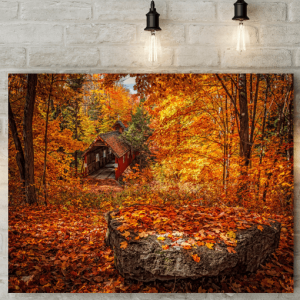 Lovely canvas picture showing a wooded area with the full colours of autumn. 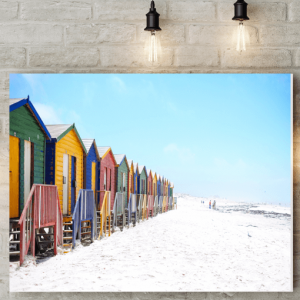 Colourful beach huts running along the top of a white sandy beach. 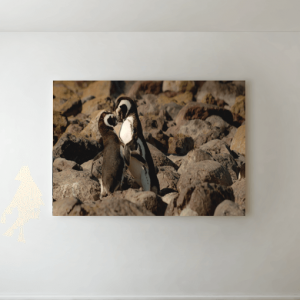 Delightful image of a couple of penguins appearing to kiss on the rocks. 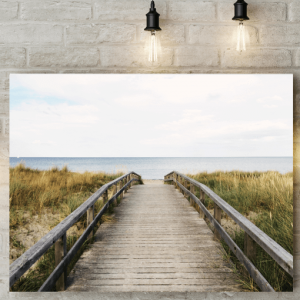 Delightful image of a stroll along a wooden walkway leading on to a sandy beach. 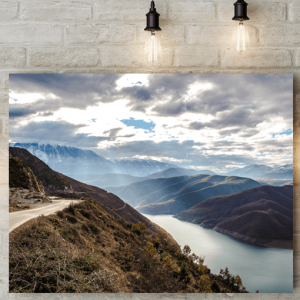 This canvas picture captures an amazing view looking across a lake and over the mountains. 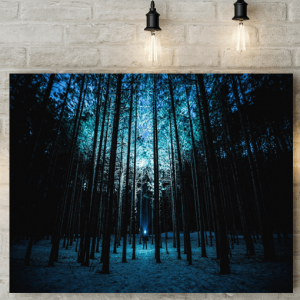 Mysterious scene of a figure lighting up the forest trees at night. 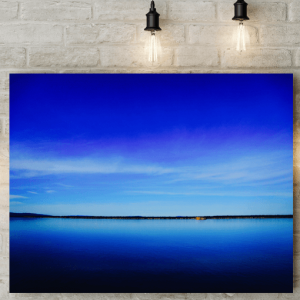 Perfect deep blue sky over clear blue waters picture canvas. 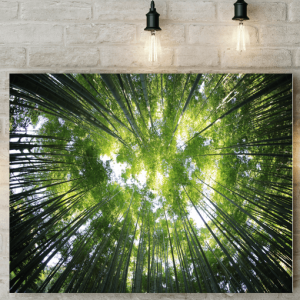 Amazing perspective forest image, looking up through the trees towards the sunlight. 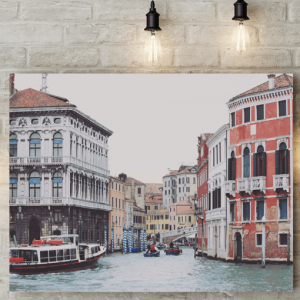 Venice water scene picture canvas. 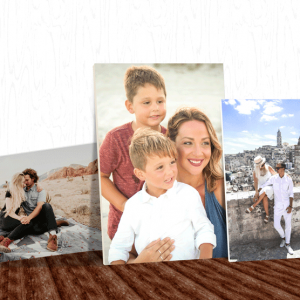 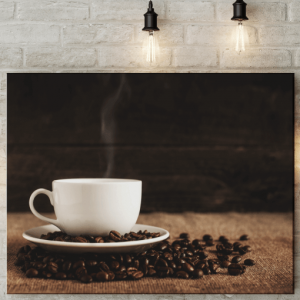 Steaming coffee cup picture canvas. 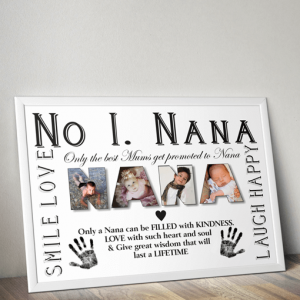 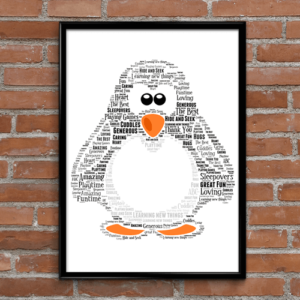 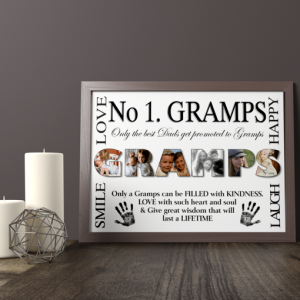 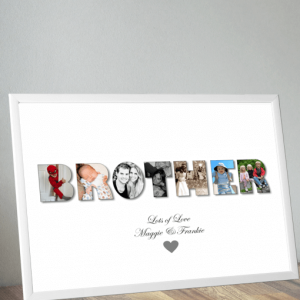 Lovely canvas for your kitchen, diner & makes a great display for a coffee shop. 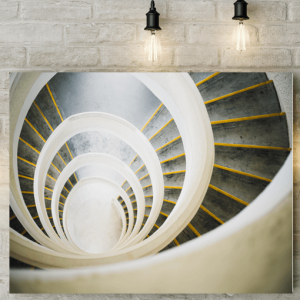 Flowing light spiral staircase picture canvas. 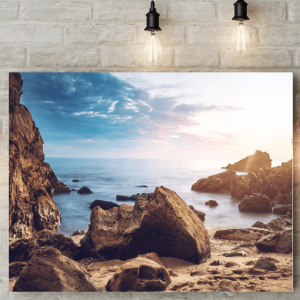 Lovely rocky beach scene picture canvas.